I can’t believe that this is my first Friday Five in 2019…I’m only a couple of weeks behind! HA! So on that note TGIF!! I am off work this weekend and I am super pumped about that!! I’m having a girl’s day with one of my friends from college and going to a baby shower for my baby sister! I can’t wait to get this weekend started!! ONE. 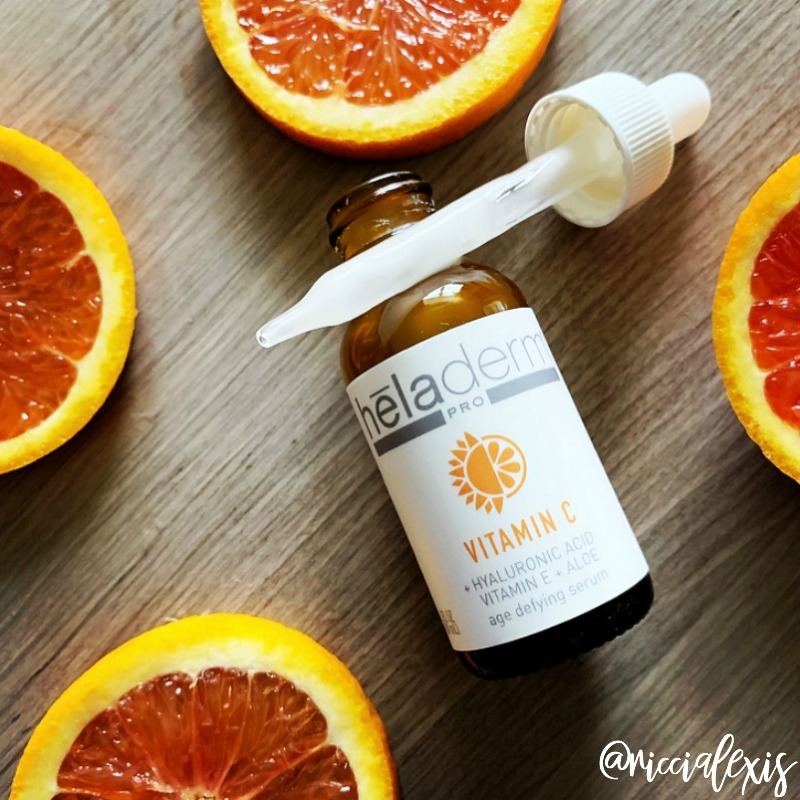 I recently started using this Vitamin Serum from Heladerm and I love it! I was gifted this product but I have to say that I seriously love it! It is packed with good for your skin ingredients such as Vitamin C (duh), Hyaluronic Acid, Vitamin E, Aloe, and more! I have noticed a big difference in my skin’s elasticity and texture since I have started it. You should check it out, and all of their other amazing products! THREE. 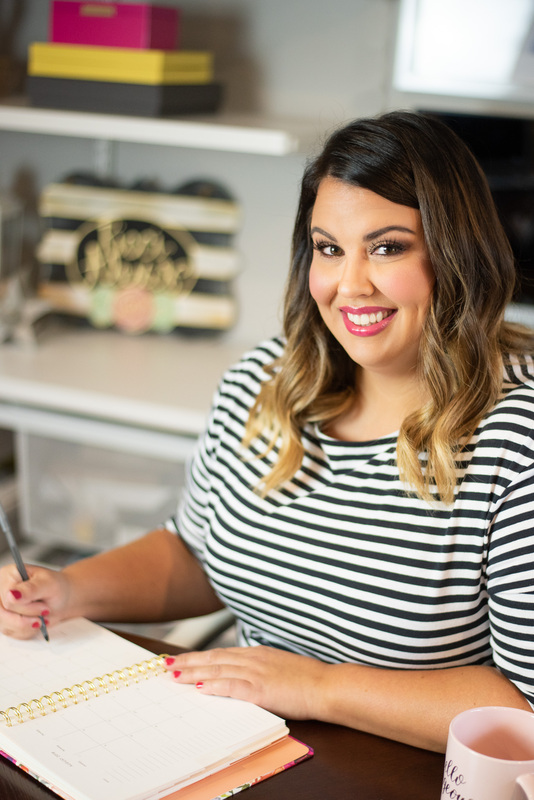 I feel like you all know how bath bomb obsessed I am, but isn’t every blogger these days?? Anyway, over the summer I discovered Fizz Bizz bath bombs and they are made in Texarkana TX (so not too far from me!!) and I am obsessed with them!! 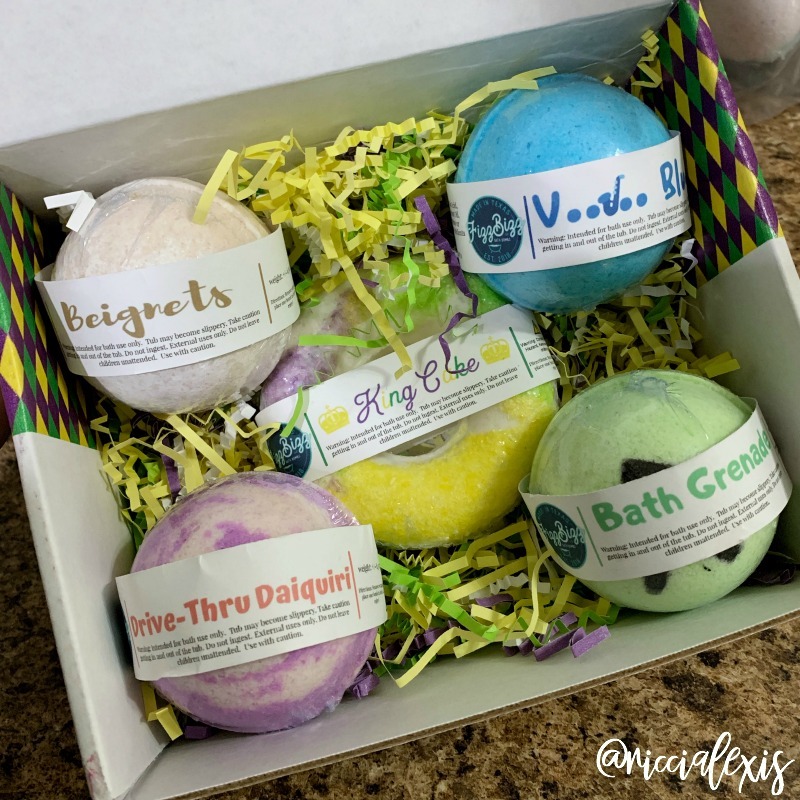 I have ordered several times from them (and posted about them) and when they recently came out with a Mardi Gras themed bath bomb box you know I had to order it. If you want your mailbox to smell AMAZING just order this bath bomb box…LOL!! If you want to try them for yourself you can buy yours here for $35 and that includes shipping!! And before anyone asks…NO, I was not paid to promote Fizz Bizz. I paid for my own box. I just reeeeeally LOVE these bath bombs!!! FOUR. 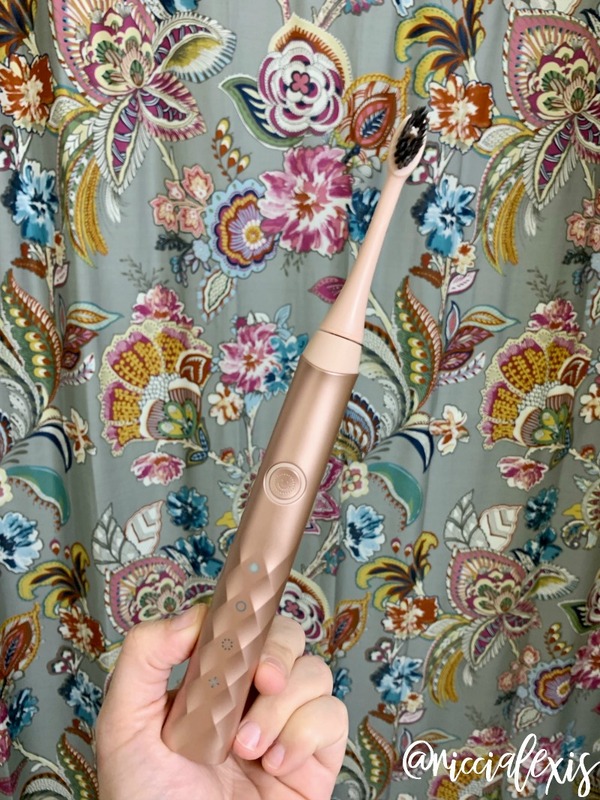 I recently purchased this Rose Gold Burst Sonic Toothbrush. Yes, I gave in to Facebook advertising and purchased a toothbrush that has been endorsed by Kardashians. I hate typing that but y’all, this toothbrush is legit! I have been wanting an electric toothbrush for some time now, the last time I tried one was right as I was starting my Invisalign and literally thought I was dying because my teeth were super sore and the toothbrush that I purchased was super powerful and hurt. So I quit and went back to a manual toothbrush. I recently decided to try an electric toothbrush and after thoroughly researching this toothbrush, a Sonicare and the Quip I chose this one and I LOVE it!! My teeth have never felt so clean and after the initial “this thing feels really weird in my mouth” I can’ honestly say it doesn’t hurt one bit. And while the Rose Gold color won’t last forever, the people at Burst say the head will always be around. Yes, I looked into that! FIVE. I have been taking quite a few pics in front of my shower curtain (in the photo above) and have gotten soooo many questions about it so those nosy souls out there (of which I am one) here it is! I hope you have a fabulous Friday!! Do you have any big plans this weekend?? I love the Mardi Gras themed bath bombs! My youngest daughter, Caitlin, loves bath bombs so I’ll have to tell her about these. Love the shower curtain too! Your shower curtain is very pretty. Need to invest in new electric toothbrushes so this is good timing. Will have to check out the other products you are loving especially the bath bombs. That does sound like a great toothbrush. I’ve always liked rose gold. I need to try out Fizz Bizz too. I’m also a fan of bath bombs. I am bath bomb obsessed!! Those Mardi Gras ones look amazing! I’ll have to try them out. I bet that bath bomb set made the entire post office not just your mailbox and the delivery truck smell amazing. What a fun and really well-themed box. I don’t take long baths often but when I do I want them to be super relaxing and I want my skin to feel as amazing as I smell. I will have to check this company out. It sounds like you have a really memorable weekend coming up! That is one interesting looking toothbrush. I don’t think I have even seen a gold toothbrush before. Those vitamin C drops I am very interested in. Anything that can help keep my skin from being dry I am all for. I amnot a regular when it comes to baths, showers are my usual, but the bath bombs look and sound so good. Love the rest of the five this week. My daughters LOVE bath bombs. They are always begging me to buy them. I know this is crazy but I have never tried a bath bomb. I’m so behind! You have me interested now! Those bath bombs look awesome. I have never heard of Fizz Biz but I love a good bath bomb! I absolutely love bath bombs! I haven’t bought any in awhile and now I feel like I need to get more. Electric toothbrushes really are worth the investment to get a good one. I was having a lot of problems with tarter buildup even though brushed all the time with a normal brush until started using an electric one. My dentist has commented on the vast improvement. 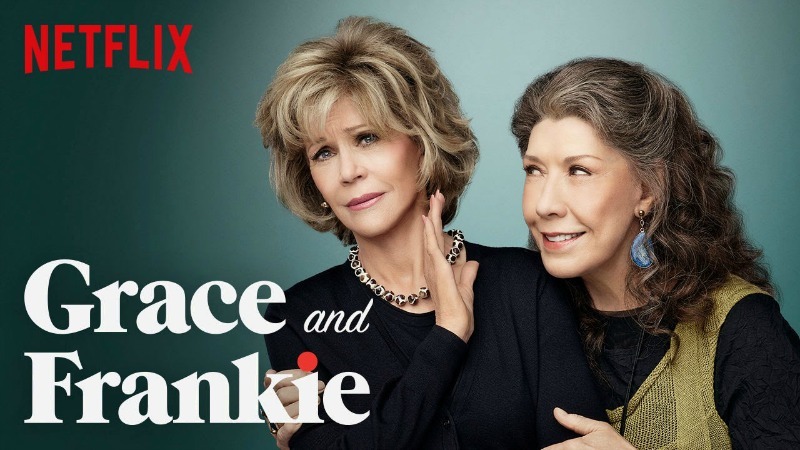 I love Grace and Frankie and can’t wait to start watching the new season. I wish I could just watch them all day, but I have to let my husband and kids use the TV too. I think those bath bombs would make me hungry! Looks great to try those bath bombs. And that electric toothbrush is perfect, I want to buy one. Love the color of that toothbrush – so pretty! I’ve always wanted to get an electric toothbrush so I’ll check that out. These Fizz Bizz bath bombs look awesome. I love bath bombs so much, they have pleasant smells and leave the skin so soft! I love3 the color of your electric toothbrush. We gave each of our kids one for Christmas, they love using it5. Bath bombs are king. We all use them in our baths in my house. I love the rest of your list too.